haha wow just to let you guys know turbobandit is selling the red bandit in box. Ok guys, I just walked next door to the sign shop and asked them about printing up decals for the bandit. All I need for them to get started is an image of them on computer in illustrated art form. Once they have that it will take another week and they can start printing them out. Does anybody here know how to recreate them in illustrated art form or know anyone who can? Worst case I can find someone to do it but this means I can have them made in any scale. there is a guy on here who does plastic sculpting, hr might know who to do that but you show post this qustion in the blogs or general discussions. 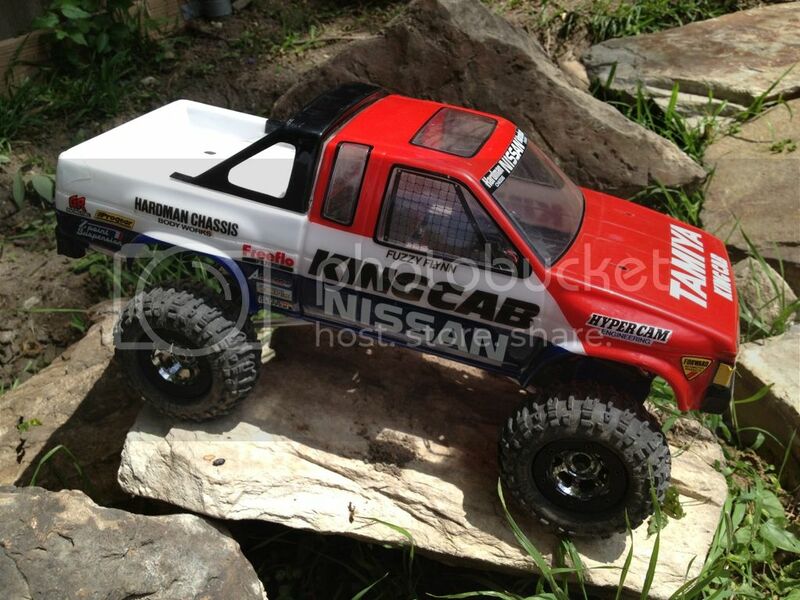 Ok I made the outlaw a 4wd hobby car today! you are killing me here i wanted to do this. but different, haha what are you going to do with the power coming from the engined in the bed? I will probably run new wires from the boost motor direct to the speed control that way when I plug the motor in ill have an extra 2.4 volts. Ive got some high amp rechargables that will do it good. I just put the body on it to see what it would look like but if I do decide to run it on this chassis instead of the stock then ill Lower the body down to correct level and boost the shocks up. Haha yeah I need to think what I wanna do with them so I can get started. 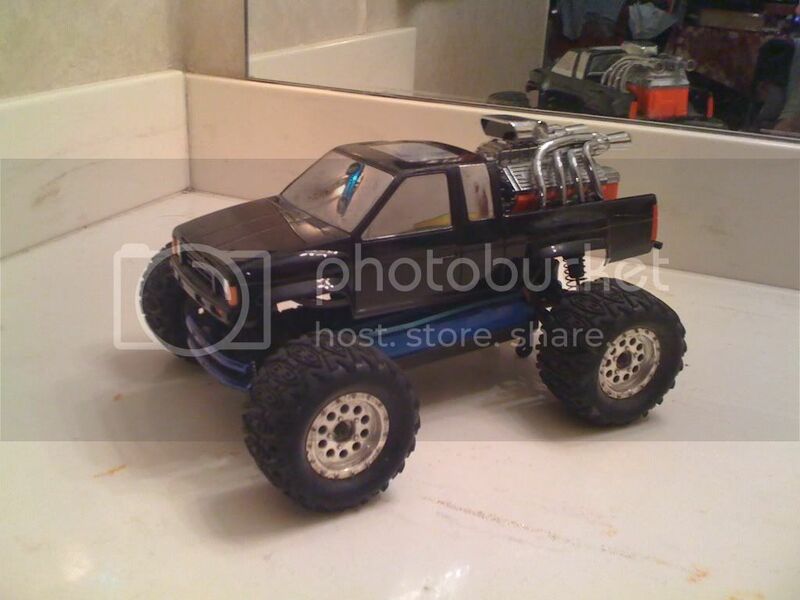 You should check out the general rc forum in about 10 mins to see how I did a hobby conversion on an old radio shack truck. alright, let my know when you come up with a price for the outlaw or outlaws. see people say its easy but i know nothing of the inner workings of electronics. look at my posting in general rc.